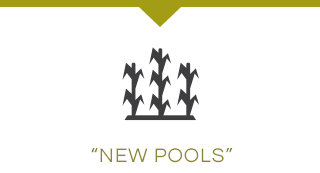 › “New Pools” operate in defined regions. These regions are dictated by market differences in price for the region. For example, if South Australia has a price differential on a FOB basis to a different state that pool will be separated from other regions. Essentially, in the general course of events, pools will reflect state boundaries. › There is one pool per region, therefore all sales from that region will contribute to the pool return for that region. › All sales revenue resides within each pool for that region. › “New Pools” value each grade on the basis of what the inventory is worth in the market. As such, there is no premium/discount for quality system. › February start* – with 4 or, if preferred 3 distributions. For example, take some cash flow in February, skip the April distribution and defer remaining equity to July and final distributions. › April start – the default payment mechanism, with 3 distributions, with the ability to skip middle payment if you wish. › July start – with 2 distributions, July plus finalisation. * If you would like to select the February start option, delivery to New Pools is required before January 24. If delivering before or after January 24 you may still nominate the April or July start options. › We will provide flexibility around cash out options. When “New Pools” holds more liquidity than required and/or the pool is extended, we will offer our pool participants a cash out option for a percentage of their deliveries. › “New Pools” only incur direct costs and receive 100% of sales revenue. All costs and revenues are fully transparent, “if we can increase returns by $1.00, the growers returns increase by $1.00”.Any costs not directly associated with grain in the pool are for account Unique Grain Pty Ltd. Unique Grain will cover any of these associated costs out of its management fee. This will include, but not limited to, all systems costs, overhead costs to perform services on behalf of “New Pools”. › Pool grain/assets/cash flows are held in a separate entity to the pool management company (UGM Custodians Pty Ltd). › A fixed management fee of 2.5% of final FOB return is charged by the pool manager to provided all services to the pool. 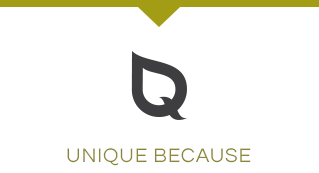 › Unique Grain’s key aim is to lift transparency to a new industry benchmark level. 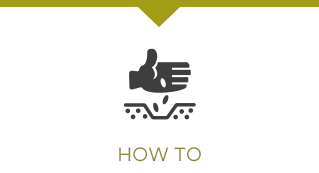 A Commitment Statement will be provided to all growers who deliver to Unique Grain. Our Commitment Statement will detail to the grower up-front what Unique Grain will and won’t do. This document will set a foundation for grower expectations on what the Unique Grain pool offer should achieve. › The life of a “New Pool” will be dictated simply on the basis of increased value in leaving the pool open over finalising the pool. If market conditions dictate that overall pool value will grow by more than the interest value, then the pool will maintain exposure to the market. › It is likely that “New Pools” will be finalised within a 12 month period. Should the pool stay open longer than a 12 month period, there will still be a cash option available to pool participants if they wish to finalise their involvement. › Within the risk management policy of the pool manager, opportunities to increase sales through beneficial market conditions or increased protection against negative price movements are available to the pool manager. There is no pre-determined selling structure requiring certain sales within certain periods. › The “New Pools” entity, UGM Custodians Pty Ltd, will have separate and individual accounts for the relevant pools within the entity. These accounts and the accounting will also be separate to the pool management company, Unique Grain Management Pty Ltd.
› The separate pool accounts will also be managed, monitored, finalised and audited separately to Unique Grain Management Pty Ltd. The only linkage between these accounts will be a single line item of a management fee paid by the “New Pools” entity to Unique Grain Management Pty Ltd. As per all line items of cost within the “New Pools” entity this expense item will be clearly shown as it is a direct cost to the pool. › All “New Pools” transactions and finalisation will be fully audited within 3 months of finalisation and a report forwarded to participants in that “New Pool”.